IS YOUR FUTURE SECURE IN THE TRAVEL BUSINESS? 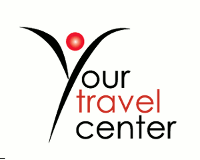 Your Travel Center/Montecito Village Travel, A Virtuoso Travel Agency , seeks professional leisure travel consultants with established business for our busy Santa Barbara office. Good salary & benefits, medical and 401K. Email resumes to employment@ytc.com . Seeking candidates with 3-5 years experience for our luxury leisure office. $1000 SIGN ON BONUS for agents with a following (to be paid after 1 year of employment) ! ALSO, looking for busy professional independent contractors located in the US. Visit www.ytc.com for more company information. SENIOR LEVEL CORPORATE/INTERNATIONAL/VIP TRAVEL - COMPETITIVE SALARY Immediate need for highly experienced SABRE Agent - On-Site Greater Philadelphia Area International - VIP's (Must be able to work in-house) Must have current experience as an International Travel Agent, Proficient on SABRE Must be well versed in all aspects of corporate travel, including, air, car, hotel bookings. Must be able to multi-task Candidate should have excellent communication skills both written and verbal. Candidate should know all phases of corporate travel International & Domestic. SABRE GDS - (must be Current) Polished, Articulate Excellent written and verbal communication skills. Must be able to produce with minimal or no errors Ability to "jump right in" Knowledge in ALL aspects of Corporate Travel Domestic and International Team Player Easy to get along with Great Customer Service Skills Must be able to work independently Must be Technically Savvy THIS IS NOT AN ENTRY LEVEL POSITION!! CURRENT TRAVEL INDUSTRY EXPERIENCE IS A MUST! !